"By making friends with signs," Lennard Davis argues, "we are weakening the bond that anchors us to the social world, the world of action, and binding ourselves to the ideological." For the reader, this power of the novel needs to be resisted. But there is a double resistance at work: the novel is also a defensive structure positioning us against alienation and loneliness: the dehumanising symptoms of modern life. While discussions surrounding ideology in novels traditionally concentrate on thematics, in this study - first published in 1987 - Davis approaches the subject through such structural features as location, character, dialogue and plot. 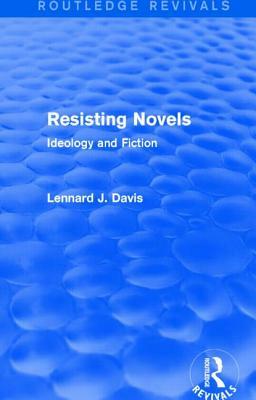 Drawing on a wide range of novels from the seventeenth century to the present day, and on psychoanalysis as well as philosophy, Resisting Novels explores how fiction works subliminally to resist change and to detach the reader from the world of lived experience. This controversial critique will engage students and academics with a particular interest in literary theory.